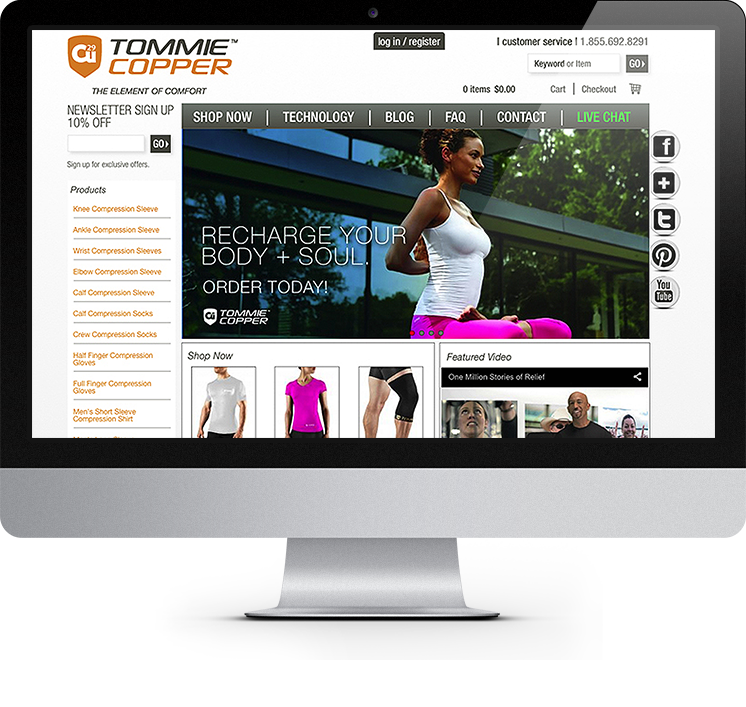 Tommie Copper apparel provides all-day compression apparel featuring their patented technology for improved performance, recovery and supportive relief from everyday aches and pains. This project involved a major data migration that presented several challenges. It involved merging two existing Drupal 6 sites into one Drupal 7 site, as well as migrating from the Ubercart e-commerce platform to Drupal Commerce. The e-commerce platform upgrade provided greater flexibility, automated call center order handling, as well as payment gateway and fulfillment. Like what you see or have any questions?